Our aim with our 6th Annual Conference is to explore how we can improve the current situation where delays and inconsistency in processing statutory applications can be improved to attract investment, failing which, the market will look elsewhere. 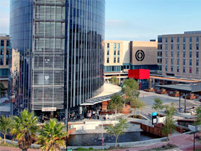 Bed & breakfast accommodation is available at the Century City Hotel and can be booked with your conference registration online. Single room @ R2,200 per night. Double room @ R2,500 per night.